In this course the student will learn the use of modifiers in coding and reimbursement and the types of modifiers available to healthcare providers.This course is prepared for outpatient encounters. Visit our Documents Library for a whitepaper on updates to Modifier -59. Identify general features of CPT and HCPCS modifiers. 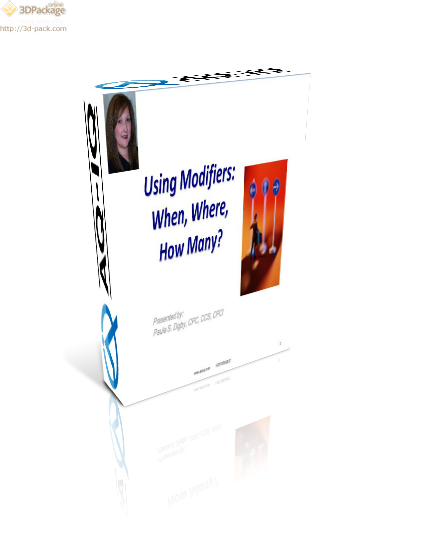 Understand the documentation requirements for the use of modifiers.